When you leave your home for a hostel. Your entire body aches for the comforts of your home. One such comfort is to be delivered fresh laundry. The girls of Girls Hostel No. 02, Punjab University hostel felt the same way when they left the comfort of their homes. 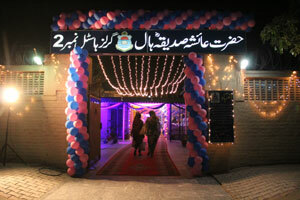 Punjab University being Pakistan’s oldest Public University. 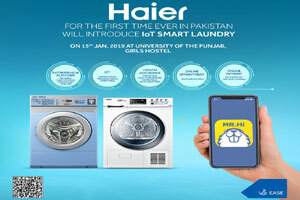 For the first time ever, Haier is coming up with IoT smart laundry which will be inaugurated at Girls Hostel No. 02, Punjab University on 15th Jan, 2019. So, keep yourself all hyped up for the beginning of a new era for advanced laundry. 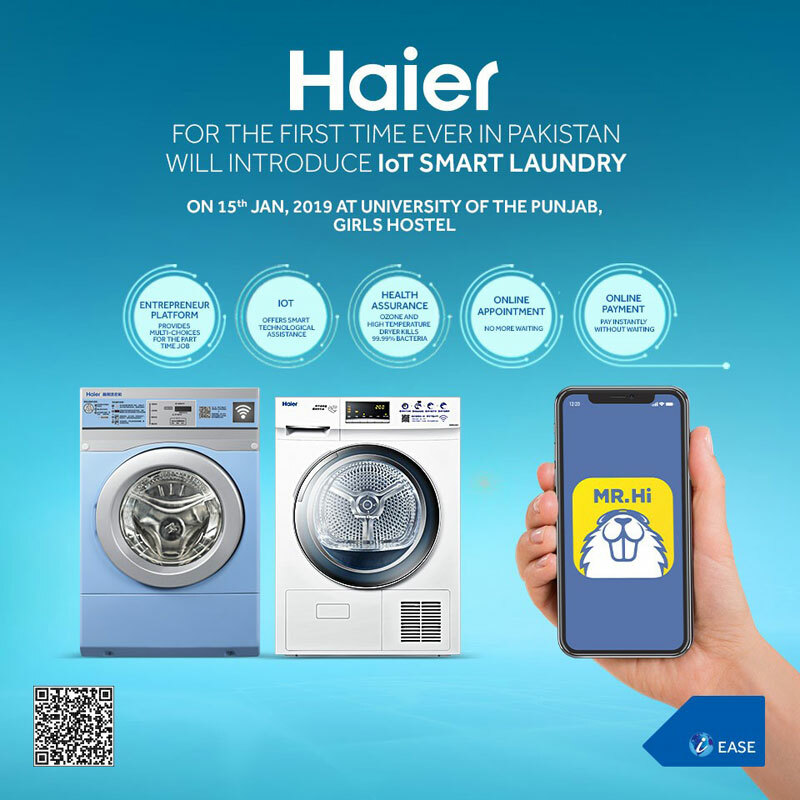 Haier is the first ever brand to bring the IoT to Pakistan. With Laundromat you get to experience IoT at its best. IoT stands for Internet of things which by definition is machine operated through internet. Laundromat is a setup designed to achieve perfect laundry with its washers and dryers operated via internet. Haier believes in empowering people to live their best life. The girls of Hostel Punjab University live in a place where laundry was a problem and a hassle. Most of the girls were not happy with the laundry methods followed blindly. So when they heard the news that the Home Appliance brand that rightfully claims to bring the best solutions forward is coming up with a facility which will have washers and dryers. The girls are over the moon that they finally have a place they can do their laundry at, not only that but on top of that it’s all controlled by an app called Haier Wash, the app is fully equipped and lets you know when a washer is free to be used. After the laundry is done, you get to collect your clothes and be the independent woman you always wished to be!